Maria Nila is a 100% vegan and cruelty free-certified hair care products are developed with love for animals, nature and of course your hair. 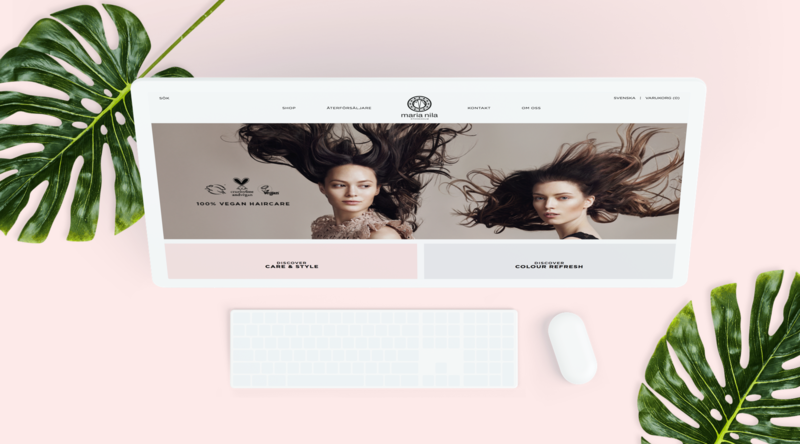 Maria Nila approached Most seeking the development of a digital creative strategy accompanied by the full design, build and launch of their new e-commerce platform. Built on top of Magento Most developed designed and executed an entire platform, including UX & UI design, for Maria Nila that met their needs of being executable across multiple international markets. Clean and inviting – Most developed a web shop that has the capacity to scale with the Maria Nila brand and carry them through new territories.